Note:Ensure all 3 legs of the puller make contact with the inner race of the bearing. 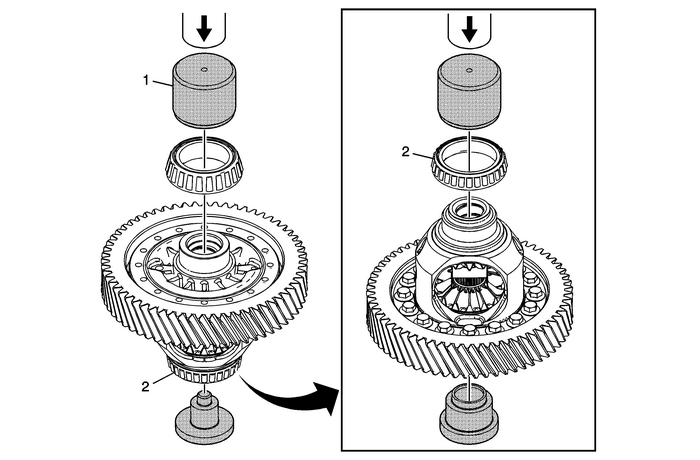 Caution:Pressing against the bearing assembly can damage the bearingand cause premature bearing failure. Caution:There are first and second design front differential carrier bearings. First designbearings have twenty eight rollers and are manufactured by Timken. Second design bearingshave 30 rollers and are manufactured by NSK. If installing second design bearings,second design front differential carrier bearing cups must be used. 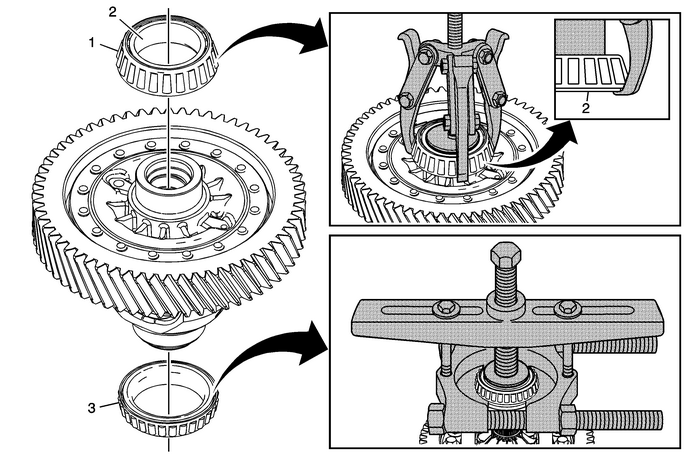 All four partsmust be kept as a set to prevent damage to the transmission.